Are there limits to the government’s powers in expulsion of non-citizens and controlling its borders? The United States Supreme Court recently decided to consider appeals regarding two very different immigration scenarios. One involves a judge’s order of deportation issued inside the United States; the other involves a decision made by a U.S. consulate in a foreign country. However, both cases have a common thread: what is the permissible extent of the government’s powers? In some states, in order for an Immigration Judge to sustain the charge, ICE must prove that the state conviction relates to a drug specifically listed in a federal statute (namely 21 U.S. Code § 802). Yet, in other states, Immigration Judges will sustain ICE’s charge if a state conviction involves “drug trade in general.” The latter interpretation is extremely favorable to the government because ICE does not have to prove that a specific drug is involved. If the Supreme Court agrees with this interpretation, it could mean that the government can bring the full weight of its powers of deportation against individuals convicted of relatively minor crimes. 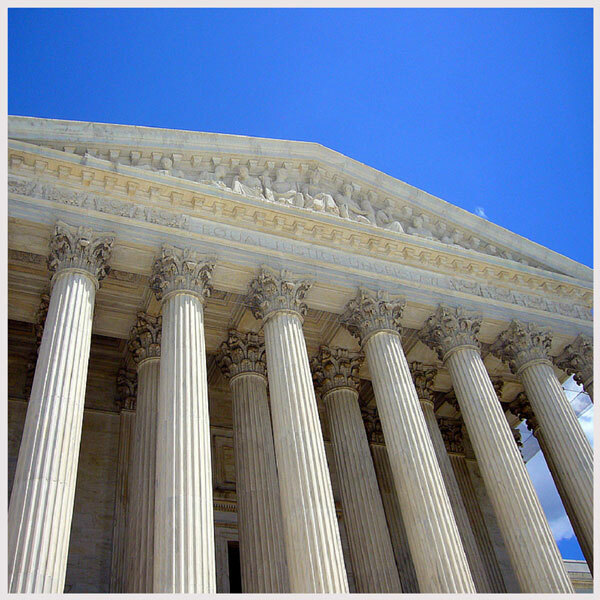 In the second case, Kerry v. Din, the Supreme Court has decided to examine the “doctrine of consular nonreviewability.” Consular officers, employees of the Department of State, determine when and to whom visas allowing a non-citizen to enter the United States should be issued. Courts acknowledge that the United States government, acting through its consular officers, has broad powers to control its borders and part of that power involves determinations of who it allows to enter its borders. Decisions to deny admission to non-US-citizens are not “second guessed” because they are not subject to judicial review. This is known as the “doctrine of consular nonreviewability” and it is extremely deferential to the judgment of consular officers. Now, most parents know that if they keep a vigilant eye upon mischievous toddlers, the little ones will mostly behave. What happens when the toddlers perceive that the parents are paying more attention to their smartphones than what is happening on the playground? Some will continue to behave, but others will run amok knowing that nobody is watching. A similar thing has occurred in the consular sandbox: because the courts have communicated to the consulates that their actions will not be subject to review (essentially, the watchers have turned their backs), some consular denials are unsupported by fact or law. In many instances, consular decisions simply consist of a check mark in the denial box. If the Supreme Court allows this practice to continue, it could mean that the government’s powers in this regard would remain unchecked. The Supreme Court will issue its decisions by the end of its term in June 2015. Check back in for new developments. Meanwhile, if you want to discuss anything else regarding immigration, I invite you to contact me. Tagged: "doctrine of consular nonreviewability", "Kerry v. Din", "Mellouli v. Holder" and "removal proceedings"